Sensationalist Press Got it WRONG! Microsoft Does Not Recommend Two Antivirus Programs! "It’s not as efficient to have one kind of weapon," she said. "Like anything you must have that diversity. It’s a weakness to just have one." Starting with the obvious, Microsoft Security Essentials on Windows 7, or earlier and Windows Defender on Windows 8 are disabled when a third-party antivirus software is installed. Thus, an active second antivirus program cannot be run along side Microsoft Security Essentials or Windows Defender. "It’s not a good idea to run other antivirus or antispyware products at the same time as Microsoft Security Essentials or Windows Defender. Using more than one real-time security product can affect your PC performance. You might also get an error code when you try to update or install, such as 0x80070643." The use of the word "weapon" by Holly Stewart in the above quote does not mean a second antivirus software, rather, as has long been recommended by the security community, a layered approach of another weapon is needed. In addition to one up-to-date antivirus software, it is also critical to maintain updated third-party applications such as Adobe products and Oracle Java and install Microsoft security updates. Along with "safe surfing", having one or two secondary security applications, such as my favorite Malwarebytes Antimalware and WinPatrol to supplement the work of your antivirus software program is generally recommended. As illustrated in the Microsoft Malware Protection Center report, Evaluating our protection performance and capabilities, 99.9% of computers using Microsoft real-time protection reported no infections on the average day of August, 2013. With results like that, it is clear that the change in focus by Microsoft to prevalent threats is obviously working. Thus, PC Pro, Microsoft Security Essentials is not designed to be at the bottom of the antivirus rankings. It is designed to target prevalent threats to consumer's computers, as illustrated in the change log for 1.159.819.0, released today. Update: Microsoft published a response to the "misinterpretation" by PC Pro and the other authors who added to it. The Microsoft article is referenced below as is an article by Leo Notenboom, who contacted Holly Stewart. Ask Leo: Do I Need to Stop Using Microsoft Security Essentials? Microsoft released Security Advisory 2887505 which relates to an issue with Internet Explorer. It is important to note that there are a limited number of targeted attacks which are specifically directed at Internet Explorer 8 and 9. The issue, however, could potentially affect all supported versions of IE. "This issue could allow remote code execution if an affected system browses to a website containing malicious content directed towards the specific browser type. This would typically occur when an attacker compromises the security of trusted websites regularly frequented, or convinces someone to click on a link in an email or instant message." Below are the links to both apply and uninstall the Fix it solution. Note: The Fix it solution applies only 32-bit versions of Internet Explorer. Mozilla sent Firefox Version 24.0 to the release channel. At the the time of this posting, there is no indication of security fixes included. An update will be made if or when that information has been provided. Update: The security fixes included in version 24.0 have finally been posted. It is advised that this update be installed ASAP. Version 24.0 includes seventeen security updates of which seven are critical, four high, and six moderate. improved performance and efficiencies for Java on ARM servers and support for Mac OS X retina displays. 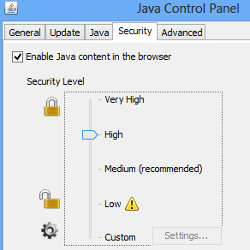 If Java is still installed on your computer, it is recommended that this update be installed. Starting with the October 2013 Critical Patch Update, security fixes for Java SE will be released under the normal Critical Patch Update schedule. A pre-release announcement will be published on the Thursday preceding each Critical Patch Update release. Microsoft released thirteen (13) bulletins. Four of the bulletins are identified as Critical with the remaining nine bulletins rated Important. The updates address 47 unique CVEs in Microsoft Windows, Office, Internet Explorer and SharePoint. The updates to Windows require a restart. With today's Windows Update, Internet Explorer 10 and 11 in Windows 8 and Windows 8.1 Preview are also updated. Windows RT must obtain the update from Windows Update. Flash Player for Internet Explorer 10 and 11: Microsoft updated Security Advisory 2755801. If you do not have Automatic Updates enabled, the Flash Player update can be downloaded from Microsoft Security Advisory: Update for Vulnerabilities in Adobe Flash Player in Internet Explorer 10: July 9, 2013. Adobe has released a security update for Adobe Shockwave Player 12.0.3.133 and earlier versions on the Windows and Macintosh operating systems. This update addresses vulnerabilities that could allow an attacker, who successfully exploits these vulnerabilities, to run malicious code on the affected system. Although I have yet to need Shockwave Player on this computer, there are still many people who use it. If you have Shockwave Player installed, please update to the latest version. The newest version 12.0.4.144 is available here: http://get.adobe.com/shockwave/. As usual, watch for any pre-checked add-ons not needed for the update. Adobe has released security updates for Adobe Reader and Acrobat XI (11.0.03) and earlier versions for Windows and Macintosh. Adobe identifies this update as a regular quarterly update that provides security mitigations, feature enhancements, and bug fixes. Note, however that the updates address vulnerabilities that could cause a crash and potentially allow an attacker to take control of the affected system. Adobe Reader XI (11.0.04) for Windows is available here: http://www.adobe.com/support/downloads/product.jsp?product=10&platform=Windows. Adobe Reader XI (11.0.04) for Macintosh is available here: http://www.adobe.com/support/downloads/product.jsp?product=10&platform=Macintosh. Adobe Reader for Linux is not updated. On Tuesday, September 10, 2013, Microsoft is planning to release fourteen (14) bulletins. Four of the bulletins are identified as Critical with the remaining ten bulletins rated Important. The Critical updates will address issues in Internet Explorer, Outlook, SharePoint and Windows. The updates to Windows will require a restart. Users of Windows XP are reminded that support ends for Windows XP on April 8, 2014. See Tim Rains article, The Risk of Running Windows XP After Support Ends April 2014.